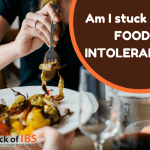 Home » DIET » Food intolerance and IBS: What are you reacting to? 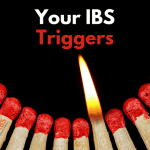 As an IBS sufferer, your health is often in your hands. You are the one that is living with IBS, and you are the one that needs to understand it, –even though you may be seeking outside help from doctors and dietitians. Food intolerance can be tricky to understand. You will often be reacting not to a food, but to a component of that food, even if it’s 100% natural. I have never been able to eat apples, nor many other fruits for that matter. The culprit: food intolerance. At school when fruit was on the menu, I preferred to go without rather than feel really sick. Later I realized that apples and other high-fructose fruit were major food triggers. A large number of IBS sufferers have some sort of food intolerance, generally directly linked to the digestion of sugars present in food. Read more about sugars here. A Low FODMAP diet excludes all the foods containing these sugars and carbohydrates for a number of weeks, before slowly reintroducing them. This process aims at settling your digestive system by avoiding reactions to food intolerance. Fodmaps hadn’t been invented when I was dealing with my IBS. However, the foods I reacted to and subsequently excluded from my diet are on the FODMAP list. It is worth noting that we are not supposed to stay on restricted low Fodmap diets for more than a couple of months before gradually adding in foods. A varied, nutritious diet is important. In reality, many IBS sufferers stay on a restricted diet for far too long because they have difficulty identifying their food triggers in the reintroduction phase. To see why, we need to look beyond FODMAPS and take a closer look at the different sugars causing reactions. 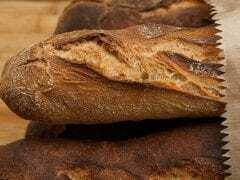 gluten intolerance is thought to be caused by a protein, but similar symptoms can be caused by a chain of combined sugars called fructans. Already you can see that the term “dairy intolerance” is actually very wide. You may not have a problem digesting all dairy products, just some containing high levels of lactose. Or others with lower levels that you consume in high quantities, or with other food triggers. It is easy to come to the conclusion that if you can’t eat yogurts, you are intolerant to lactose, or that if you have problems with wheat you are intolerant to gluten. While this may be the case, you may be barking up the wrong tree. Although they sound similar, they are distinct and present in different types of foods. Fructose is a simple sugar that is naturally present in some fruits, vegetables and honey. It can be made into high fructose corn syrup (HFCS) from corn, and is commonly found in a wide range of soft drinks and food sweeteners. The amount of fructose in a food or the serving size, or the combination with other foods is important. You can search the USDA National Nutrient Database.for the different fructose levels. The Family Wellness HQ blog presents the fructose levels in a very readable way, using data compiled from the same database. Below is a very handy table, researched by Amy Fedewa and Satish S. C. Rao, that makes a lot of sense to me. You’ll notice that there are foods with wheat as a major ingredient that are high in fructose. You may think you have a problem with gluten, but it may be fructose that is causing you problems. 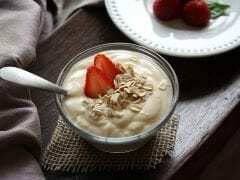 Likewise, if you are having problems digesting yogurts, you may find that it’s not dairy (lactose) that is causing the problems, but the high fructose corn syrup (HFC) used to flavor them. Or maybe both. Fruits Fresh fruit including apples, pears, mango, watermelon, nectarines, peaches, plums, especially juices, dried fruits (such as prunes, raisins or dates) and fruits canned in juice or syrup. Avocado, cranberries, lime, lemon cantaloupe, pineapple, strawberries, mandarin orange, bananas. Vegetables Artichoke, asparagus, broccoli, chutney, leeks, mushrooms, okra, onions, peas, red pepper, shallots, tomato paste, tomato products (canned tomatoes, ketchup). Meats Marinated or processed meats containing restricted ingredients. Plain unprocessed meats of any type (beef, chicken, fish, eggs etc.) Legumes, tofu (note that these tend to be more gas forming and may need to be avoided), nut butters that do not contain HFCS. Dairy Products Any product with HFCS. Be especially careful with yogurts, and flavored milks. Milk, cheese, yogurt, soy milk, rice milk, almond milk without added HFCS. Wheat including bread, pasta, couscou, onions, shallots, scallions, garlic, barley, Brussels sprouts, cabbage, broccoli, pistachio, artichoke, inulin or chicory root (see table below). This second table (below) is particularly useful. It shows the products linked to a particular type of sugar or sugar chain. If you find you react to one food, look at the food family for that sugar. Do you react to the others? Galactans are polysaccharides that include galactose. If you are replacing cow’s milk with soy milk and still reacting, this could be why. Polyols are sugar alcohols that are used in manufactured foods to sweeten them, make them creamy, or prolong shelf-life. They are also present in some fresh fruit (see table below). 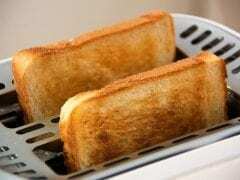 You may well find polyols in industrial bread. If you don’t know the rules to a game you can’t play it. Understanding is the key to moving forward.